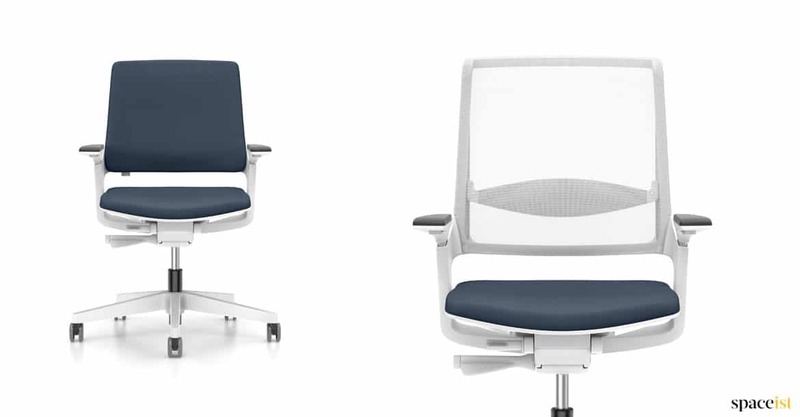 Fully adjustable task chair with net weave back and fabric coloured seat. 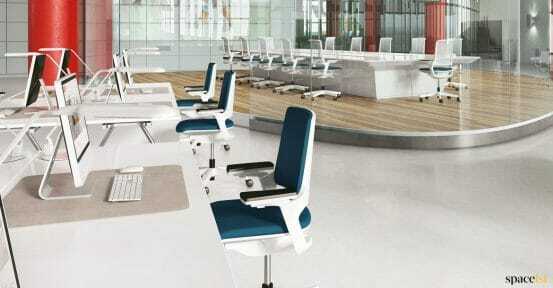 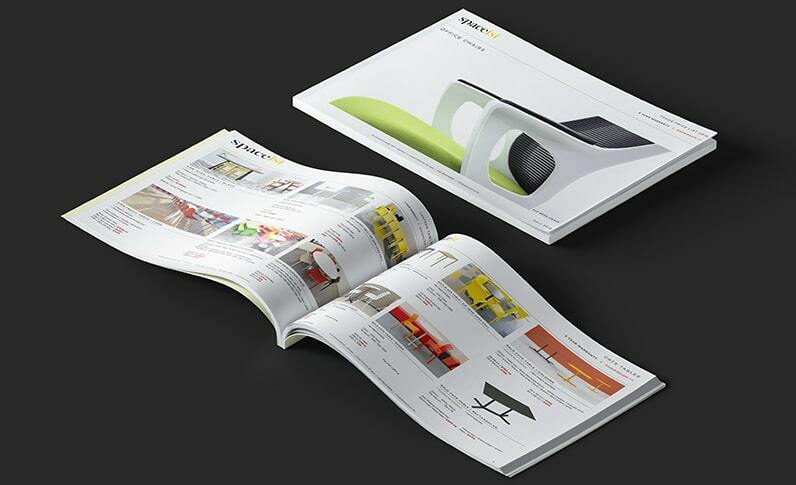 Has a quick change seat and chair carries a 5 year guarantee. 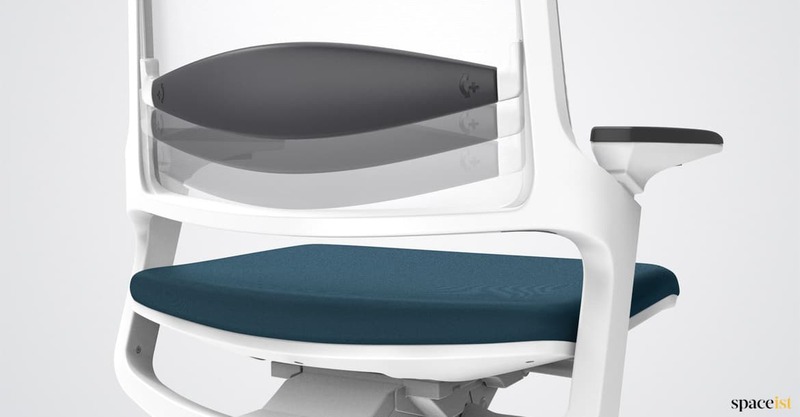 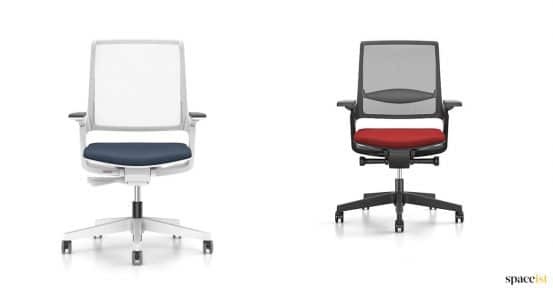 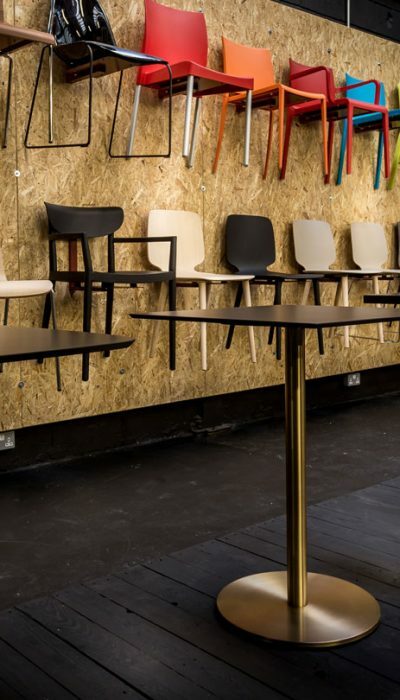 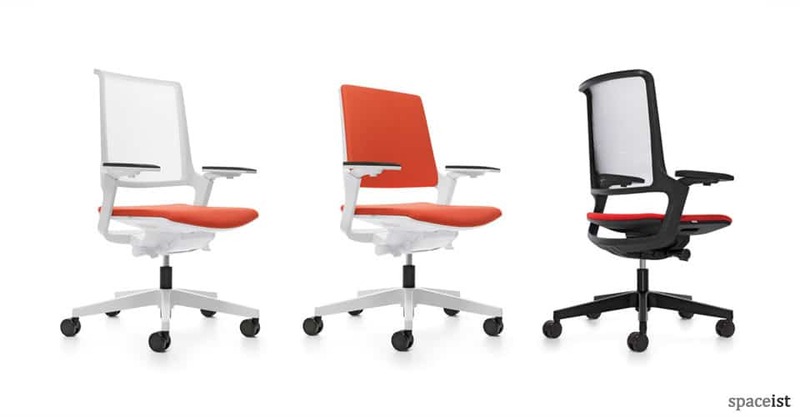 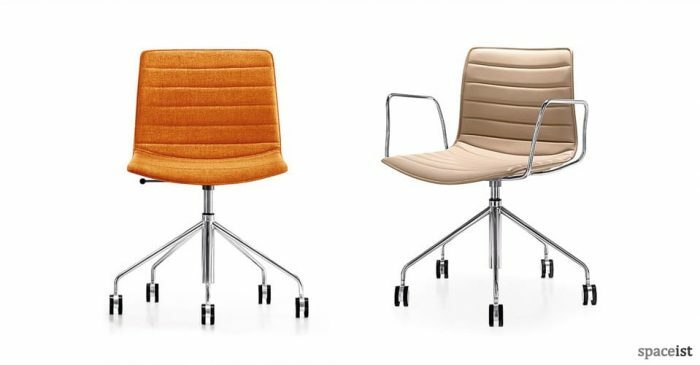 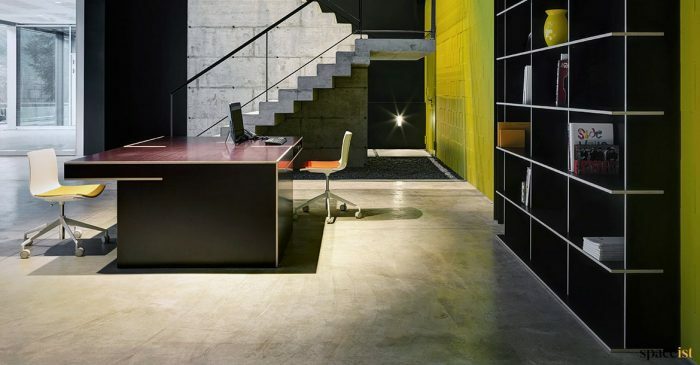 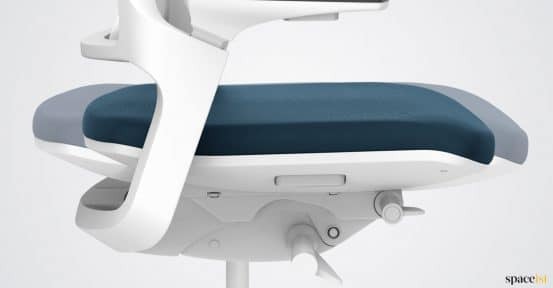 The new mesh version of the Ovy chair is supplied with all the same ergonomic adjustments including a synchronous mechanism for the back and a seat depth adjustment and it remains in a low budget category despite the designer office desk styling. 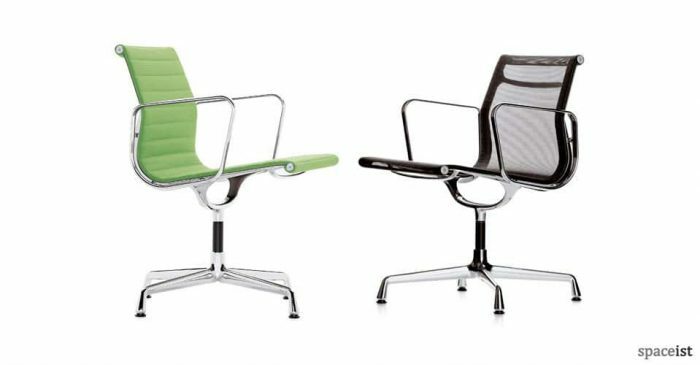 The frame can be supplied in black or white as shown. The mesh is available in the same colours. 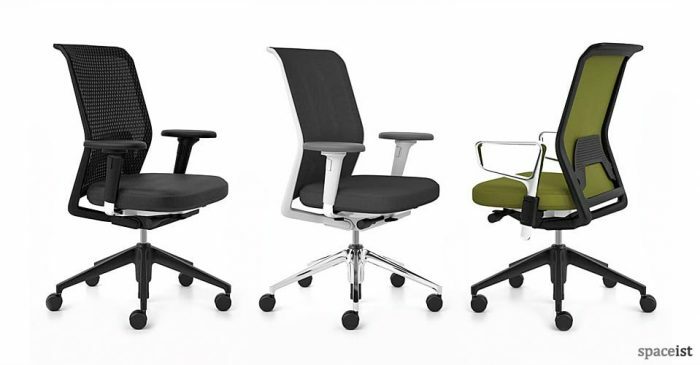 The upholstered seat and back can be supplied in many colours.